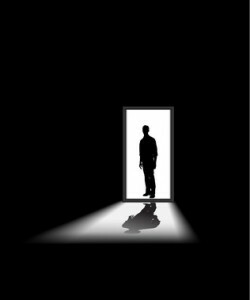 It’s a story that reads like a horror novel: There’s a light under the door at the top of the stairs, and behind that door awaits something terrifying. That’s what one Chicago landlord is experiencing after renting to an elderly woman who has become a tenant from hell. This landlord’s story, reported in the local news, is sad, but unfortunately, not that uncommon. The rental applicant seemed very nice — a harmless widow in her 70’s just wanting to rent a bedroom in the landlord’s own home. But soon, the bedroom began to smell. Then, the tenant began calling the local police, claiming her personal property had been stolen. That’s when the landlord discovered the lock had been changed. Later, the landlord discovered that the tenant in her home had assumed a false identify; the woman living at the top of the stairs was a total stranger. Trying to evict this tenant has been a nightmare. It seems the woman has played this game before, numerous times. Her prior evictions — at least five of them — and criminal history went undetected until it was too late. The woman presented police reports she has lodged against prior landlords in order to delay eviction proceedings. After the eviction filing, the tenant’s response was to request a restraining order. A judge denied that request, according to the report. The landlord says this is the first time she’s had problems with tenants. But it goes to show that playing the numbers is simply too risky a strategy. As a diligent landlord, you must implement a standard tenant screening policy and apply it every time. Failing to screen one applicant is like going without health or auto insurance — hoping you’ll get lucky and not need it. But if you’re wrong, you stand to lose much more than the time and money associated with running a tenant background check. The moral of this horror story: You can’t judge a book by it’s cover. Even a seemingly harmless applicant can turn out to be a savvy pro — your tenant from hell. Wow… Yikes! I figure it takes less time to screen a prospective than to try and get a bad tenant evicted. Thanks as always for all the helpful advise.